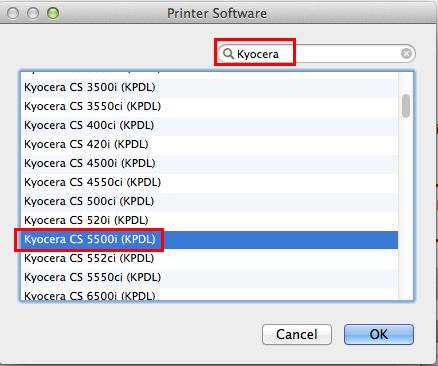 Printing from your personal Apple Mac is enabled by a commercial product, EveryonePrint. 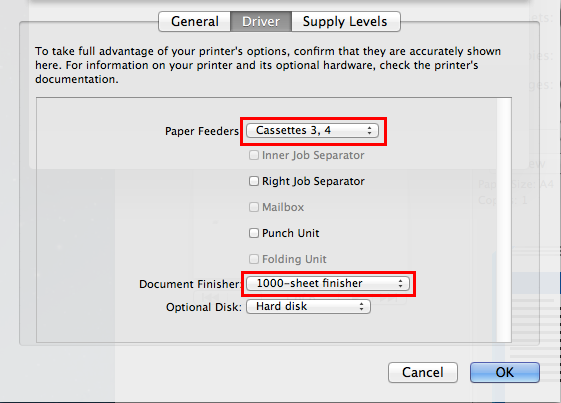 Its Driver Print option takes a little extra effort to set up on an Apple Mac but only needs doing once and then allows you to print any file from your personal Mac to a WBS printer. If you want an easier solution, or if you are using a Smartphone or tablet then have a look at WebPrint instead. Select the Mac OS option from the bottom of that page and follow the detailed instructions carefully but bearing in mind the following notes/corrections. 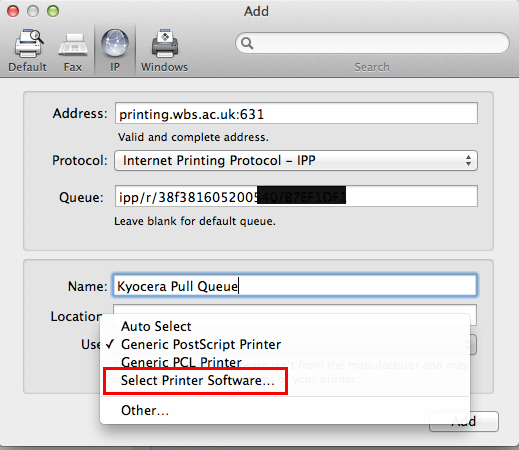 PhD researchers: Select Kyocera Pull Queue - Printing can be collected from 0.101a, PG Grid 1.002, WTC Ground and First Floor and 2.008. If case of problems with the above use Web Print instead. 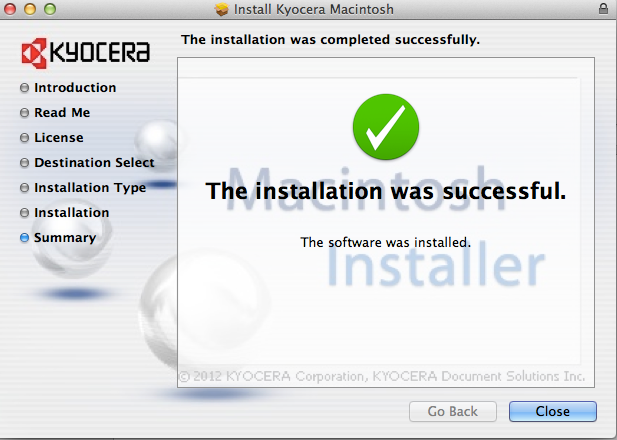 It requires no installation and works from any device with an Internet connection.